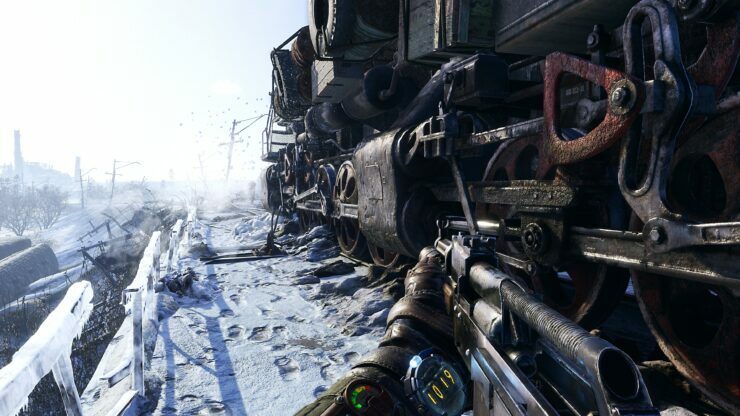 A little under two weeks ago I wrote about my hands-on experience with Metro Exodus. During the event, I got to explore some dilapidated ruins and get harassed by monstrous creatures. I was also able to play a Metro Exodus, which you can read about here. In addition to playing the game, I was able to have a sit down with publisher Deep Silver’s (Koch Media) head of brand management, Huw Beynon. Here’s what we spoke about. Chris Wray: Let’s start something easy, how are you today? Huw Beynon: Good, it’s been a very busy day! Chris: I can imagine. So, of course, the big news is the pushing back of the game. What’s the reason behind this? Huw: We think this has the potential to be 4A’s best work yet. We wanted to give them the time and opportunity to realise that. It made sense to move the game out a little bit. Chris: Okay, so how is the game developing? 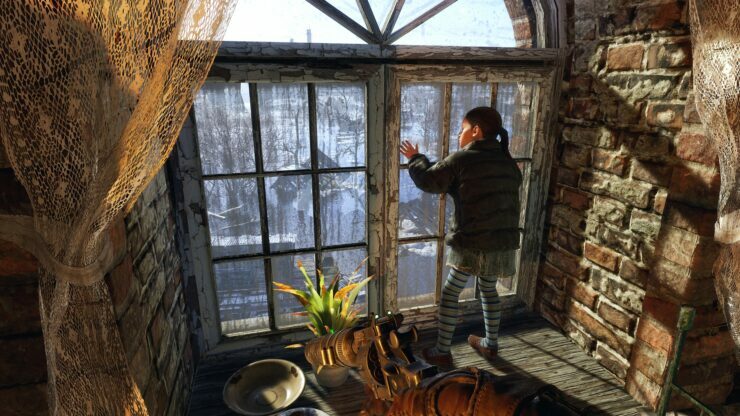 What’s made 4A Games go the way of expanding, including more open world elements? Huw: We’re feature complete now. You’ll have encountered a few bugs but the remaining time is all about polish now. Chris: What’s made 4A Games go the way of expanding, including more open world elements? Huw: I think after doing two Metro games that followed a very similar template, they wanted to try something new both artistically and from a design point of view. They literally spent seven years in the tunnels beneath Moscow with a more limited palette of environments and locations. 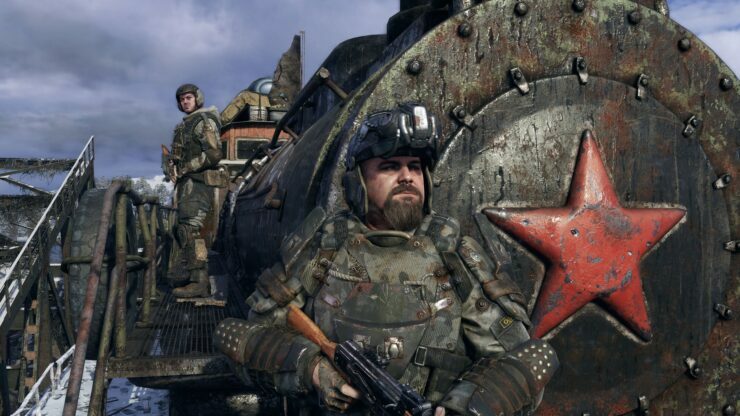 They came up with this concept of a journey across Russia, taking the player to different environments and locations, many of which are quite surprising in a Metro game. When they started making the first metro, the idea of keeping it tight and focused – more linear – was out of necessity due to the very small size of the studio. Now they’ve grown and they’ve learnt a lot of lessons on what makes a great Metro game. They also had a lot of experience particularly from some of the more senior guys who formed 4A games out of a breakaway group from GSC. Maybe they had some unfinished business that they wanted to go back to and build in some of their learnings from that. Kind of make this make this hybrid and answer the question “What it Metro and S.T.A.L.K.E.R. had a baby”. Chris: It has a lot of links towards S.T.A.L.K.E.R from the from the origins of the team. But even some of the minor elements, such as the anomalies you mentioned, are similar in appearance to S.T.A.L.K.E.R. Are these similarities intentional or just that the setting is somewhat similar in theme? Huw: I can’t answer that specific point. You know they probably felt “well we’ve done that before, so fair game”. Chris: How has it come about wanting to make this journey, you’ve mentioned that you’ve got multiple, mini open-worlds? Huw: Yeah, each one is this like miniature, self-contained, unique environment. So the next one you get to has completely different assets, tileset. It should be like “wow, now I’m in…” you know, and so on and so on. Chris: Will you have the old style Metro areas linking them together? Huw: So we typically go large, smaller, large, smaller. We think those kind of more linear levels are great for storytelling, they’re great for delivering set pieces and a little bit of spectacle. It just helped mix up the pacing, the flow of the game. You kind of alternate between them. In the chapter which you played today, we jumped to an open area because we wanted to show this new style. I don’t know how much you’ve been to play through so far but we gradually take the stabilizers off. So the first bit within this level, you’re given quite clear objectives and this guides around the first bit. We just control the path of the player a little bit then hint at the freedom to explore and then you get a slightly open-ended objective. Then when you return to the Aurora it’s “off you go, explore”. Chris: Will you have different smaller factions? Will you be able to make friends with certain groups of people? Huw: I don’t want to suggest that you recruit factions. Each of these large environments are like the Moscow metro. Each area has this microcosm, a micro-society that believes they are the only survivors. These areas that you encounter, they’ve all evolved in complete isolation over the last 20 years. It’s not the same recurrent faction all the way through every time you arrive at a new area. It feels like a new experience with its own biomes, it’s own wildlife, new characters and factions to meet. Chris: I wasn’t so much thinking as recruiting them, more how your actions will impact on them. For example, in the church, I went a little more of a bloody route and the remainder just generally surrendered. I’m guessing the AI, the NPC’s, will react based on what you’re doing? Huw: Some decisions might have consequences further down the line. If you encounter another group from the same faction, your reputation may precede you. That’ll play out in snippets of dialogue. You can also influence the behaviour of some of them depending on if you have your weapon sheathed or not. The ones in the church are obviously terrified of technology and light, so if you shine a light on them, they will be like “Ahh, can’t see heretic. Burns me with torch” whereas if you do them the courtesy and switch it off, they may say “maybe not so bad”. Chris: What’s the overall story. I’ve heard the mention of an overall government and occupying forces. Is there an overarching story you can talk about? Huw: All we’re saying about the story is that Artyom and his group of companions flee Moscow and head East in search of a new life. What their end destination is going to be, their end goal and what they encounter on the way we’re going to keep under wraps as much as we can. You may have found a few like tidbits and morsels that hint at the story. On the other hand, could all be a red herring at this point.